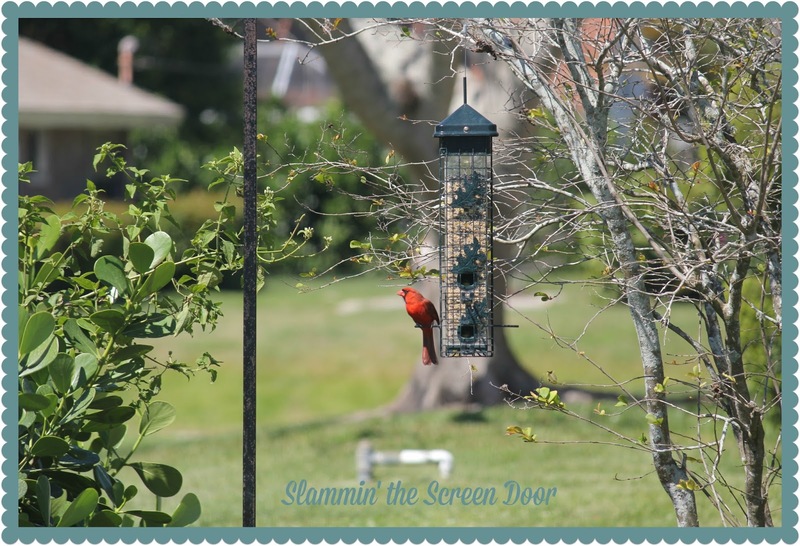 I am very happy to report that the bird feeder hasn’t caused too much of a distraction and I was able to complete my April OMG. 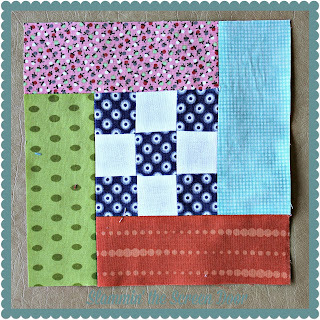 These two little quilts are donation quilts that I wanted to have pieced this month. 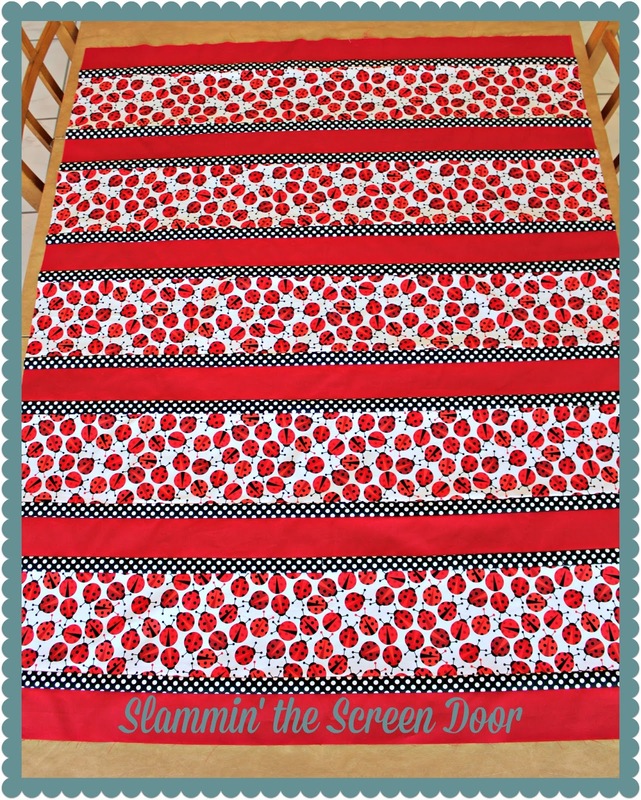 They will be donated to Happy Chemo through Sarah’s Hands 2 Help Charity Quilt Challenge. 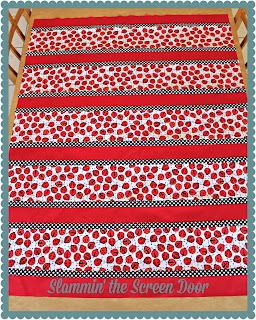 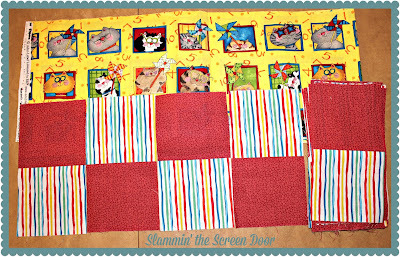 Quilting and binding will happen very quickly so the next time you see them will be during Sarah's next progress linky. 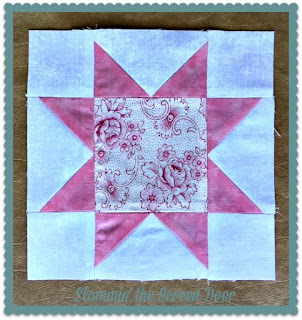 Visit Patty at Elm Street Quilts to see how everyone else did for April’s OMG. 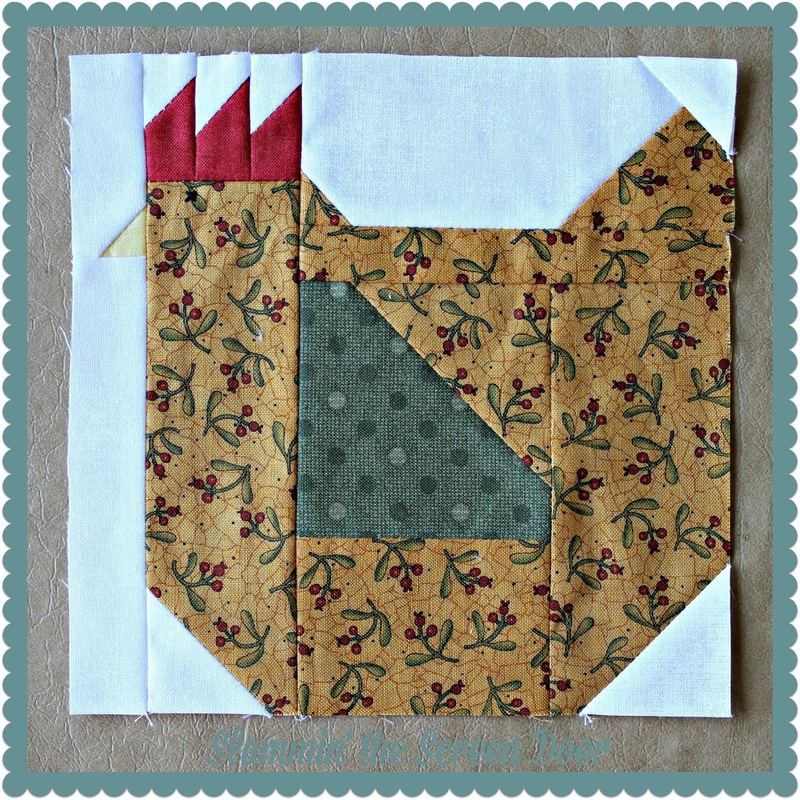 Dawn at Sew You Quilt 2 selected the Mama Hen and Simple Star blocks for April’s Farm Girl Vintage sew along. 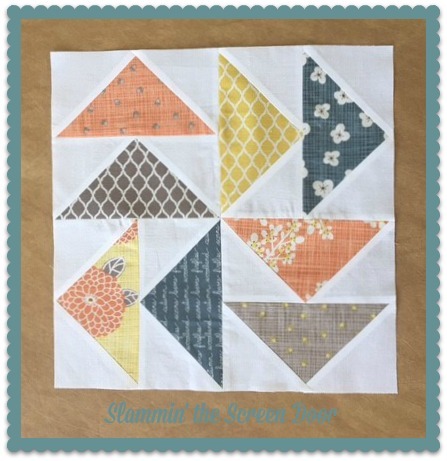 Just a quick check-in to share my progress on the H2H charity quilts. 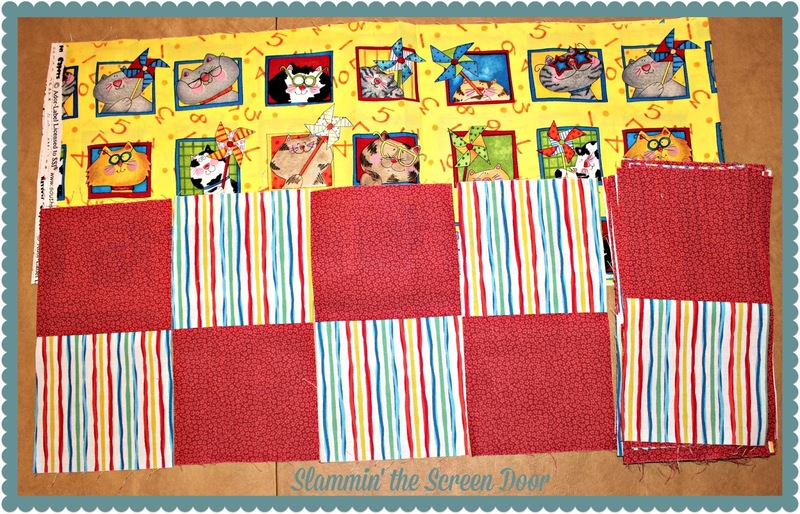 You can click here to visit Sarah’s linky party and see how everyone else is doing. 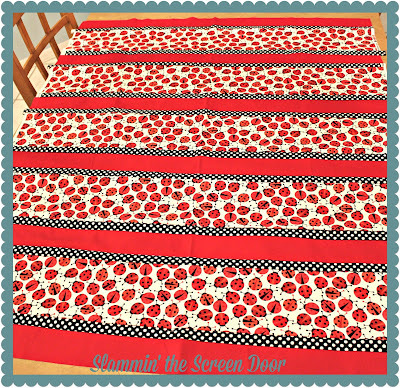 The ladybugs have been pieced and just need to be trimmed, pressed, quilted and bound. 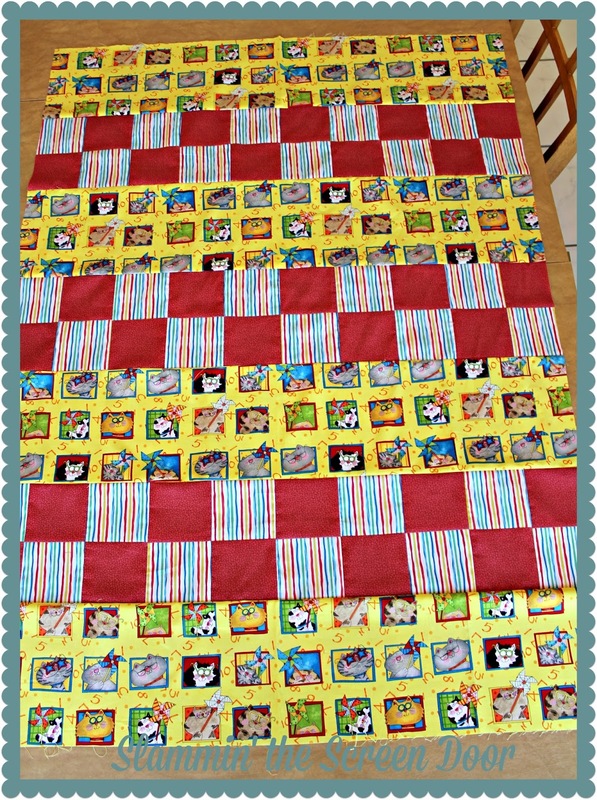 The kitty quilt is in the piecing stage. 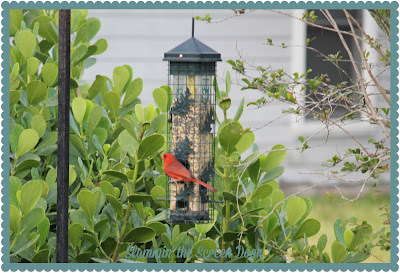 So, I will leave you with an early wish for a happy weekend. 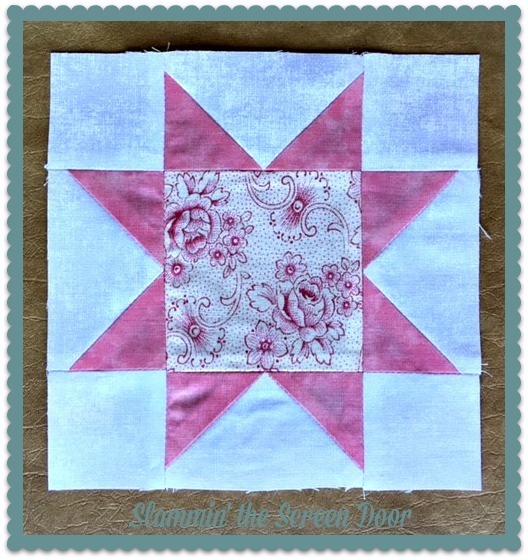 Here is my April block for Sherri’s BOM. You can find the instructions for this block by visiting A Quilting Life, click here. After creating the flying geese using her method, we were left with bonus half-square triangles that will be used in next month’s block. 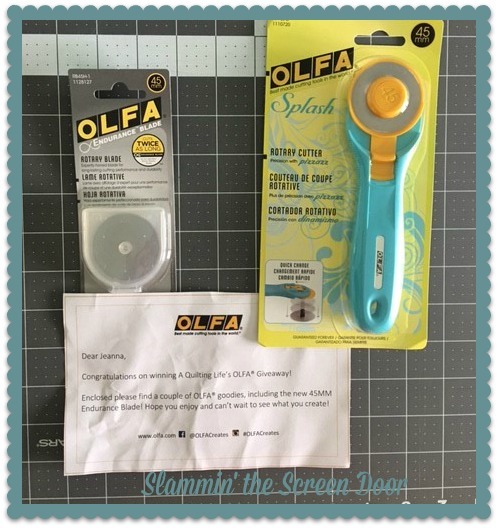 Sherri recently hosted a giveaway for one of Olfa’s Splash rotary cutters that features their new Endurance blade…and I won! I’m excited to give it a try. Changing the blade is supposed to be easier with this one. 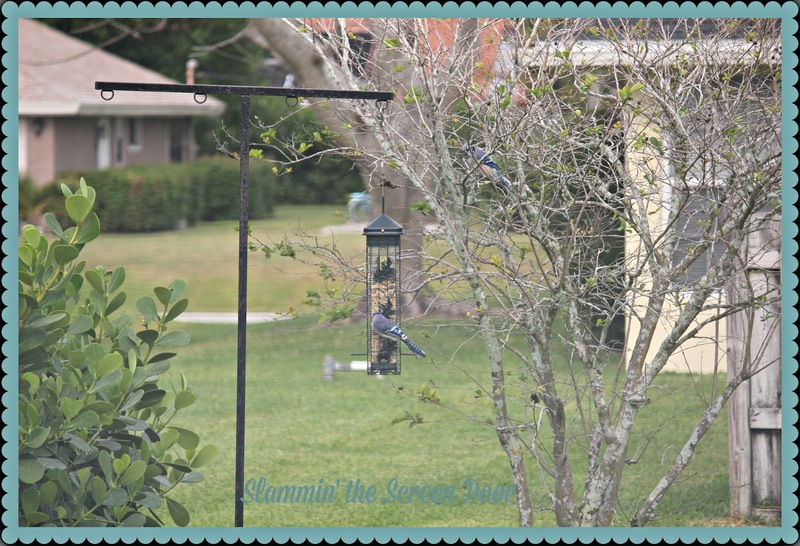 I’ve had some new visitors join the red-headed woodpecker, male cardinal and blue jays at my feeder. 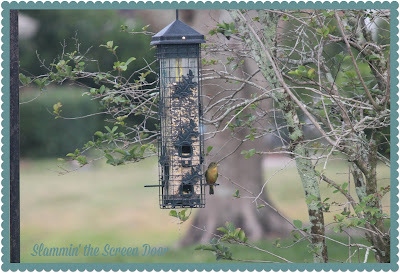 I think it is some sort of finch. 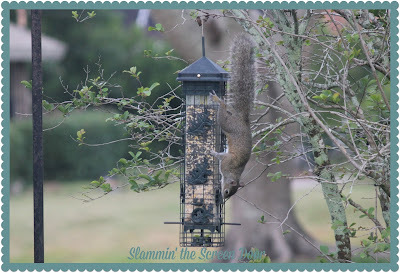 And this guy, along with a few of his friends, are always trying to steal food. 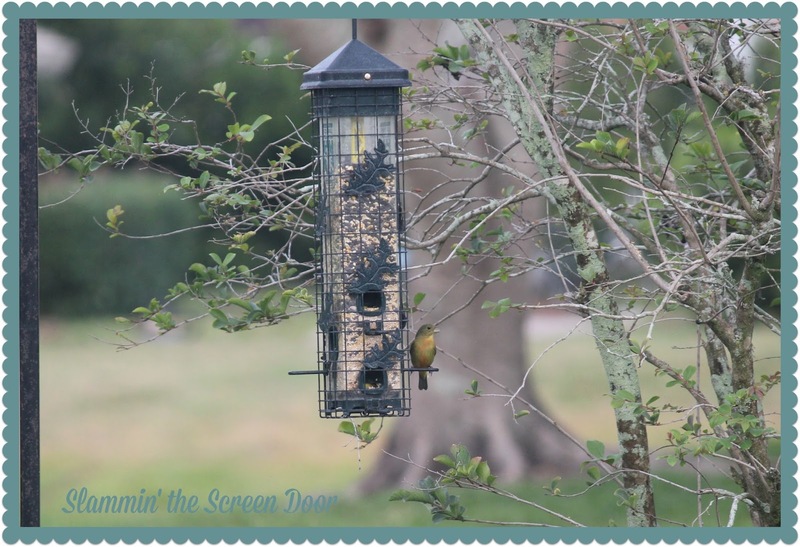 They aren’t successful because the cage surrounding the seed bin slides closed as soon as they get on the feeder. 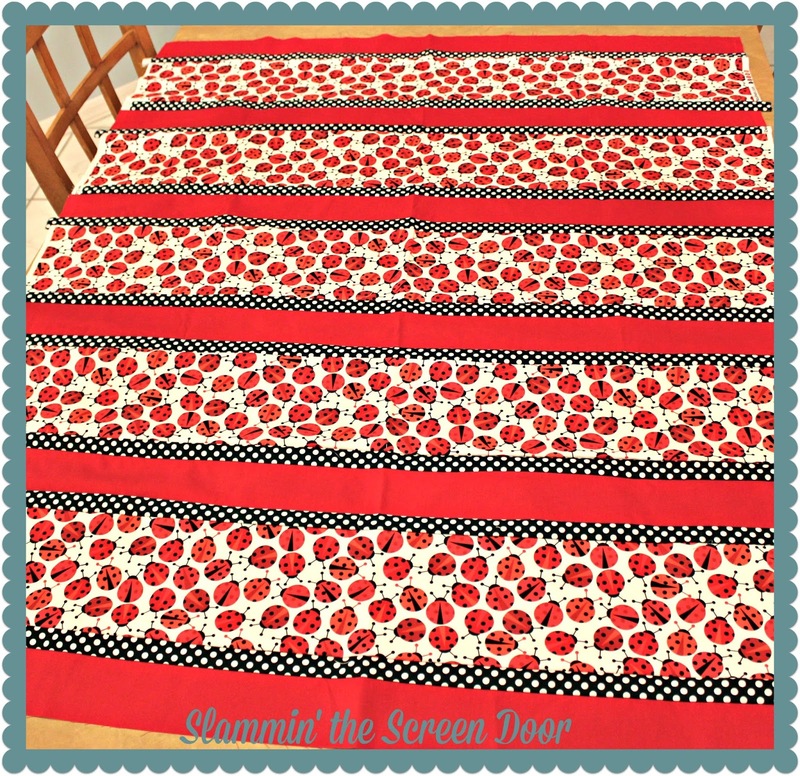 I’m happy to say that I’m on schedule with my sewing so far this month. 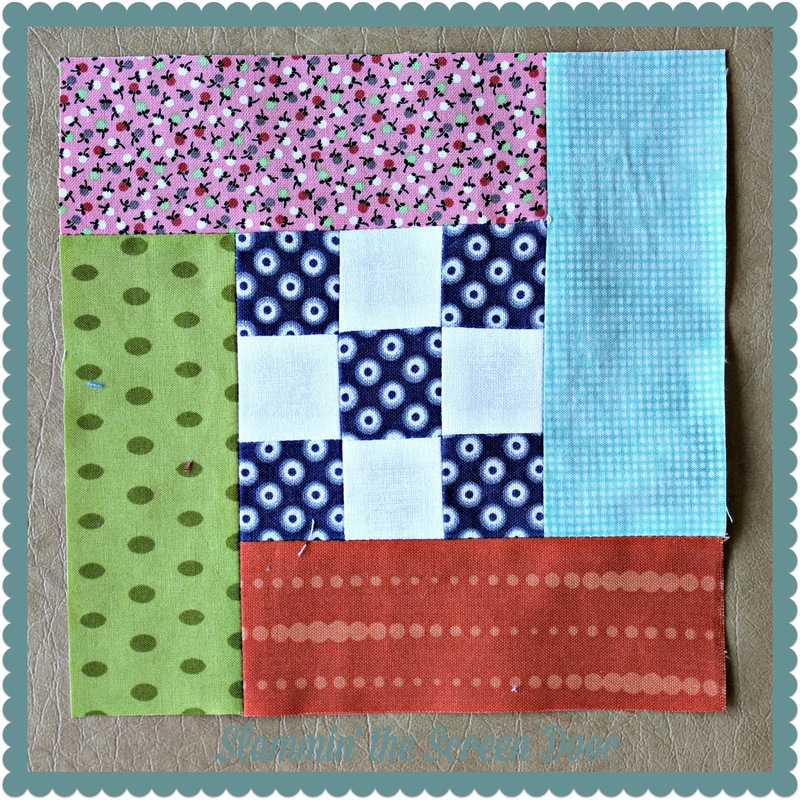 I’ll be back shortly to share my H2H charity quilt progress and Farm Girl blocks. 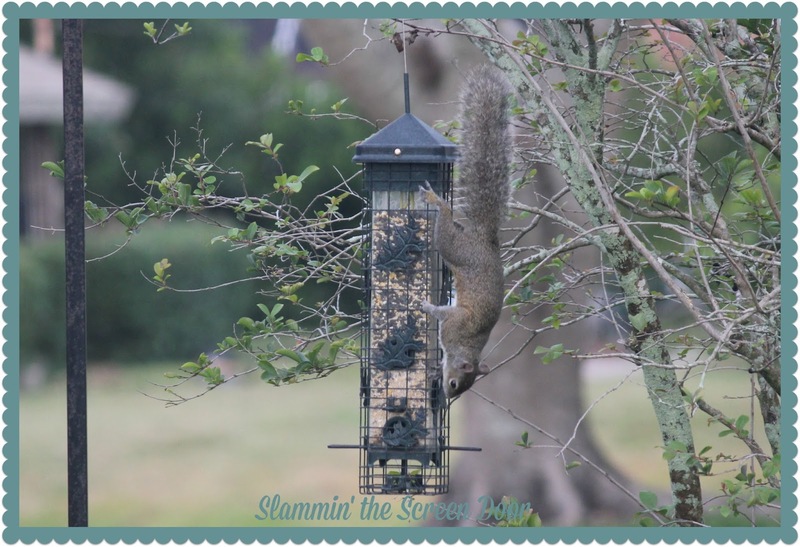 It is time to select my One Monthly Goal project for April. 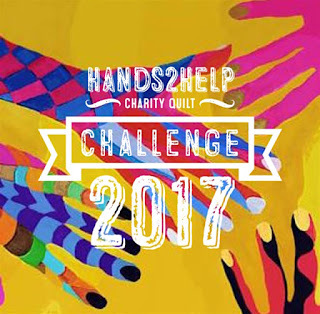 This one is quite important because it will benefit Sarah’s Hands to Help Quilt Challenge. 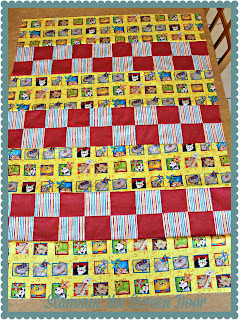 I am going to piece two simple quilts to be donated to Happy Chemo. 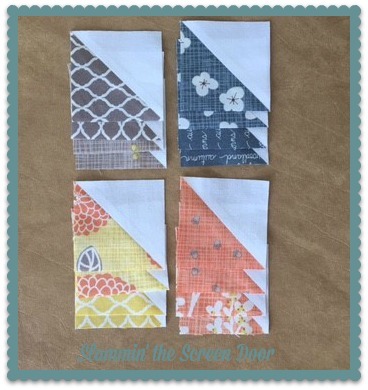 One will use these fabrics which I’ve shared before. 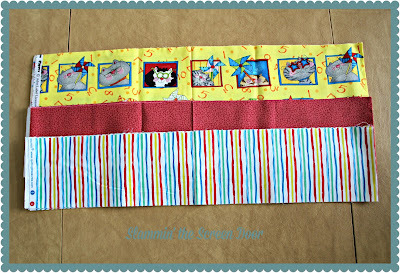 The second will include these cute fabrics. 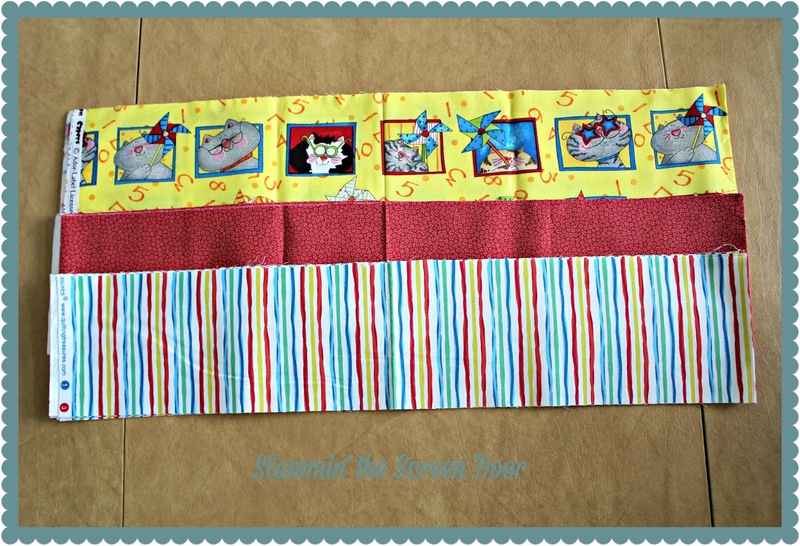 Love the little kitties. 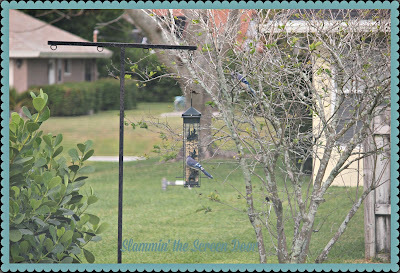 I placed my bird feeder outside so I can see it from my home office / sewing room. 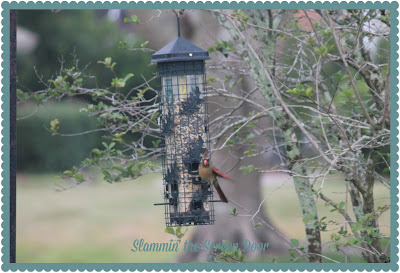 Here are a few visitors from last week. 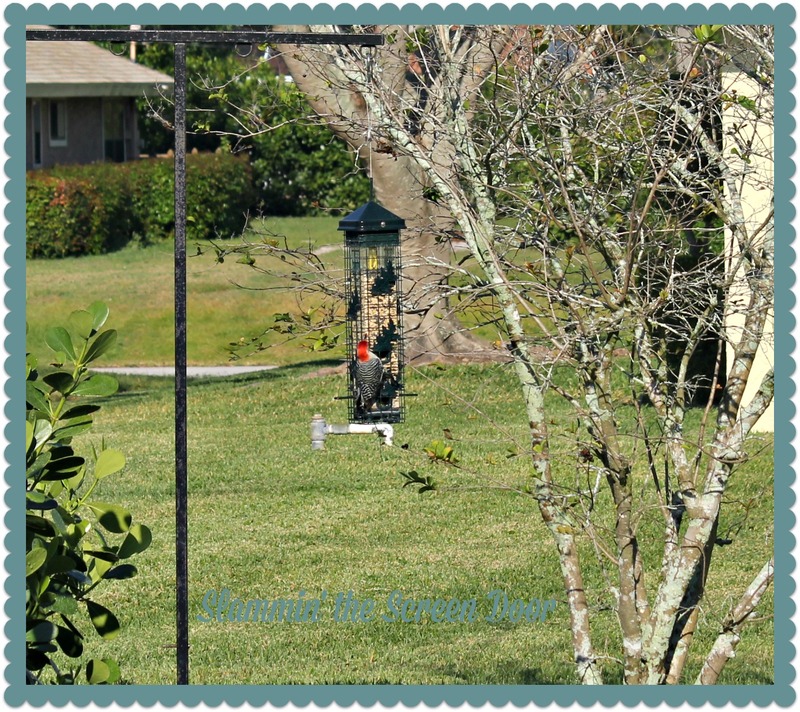 Let’s hope this bird feeder doesn’t cause too much of a distraction...I really need to accomplish my April OMG. Click here to visit Patty and see what others have planned for this month.